Kazutoki Umezu (????) is one of the most important reed players in the world. He works with many different kinds of music and dance performances. 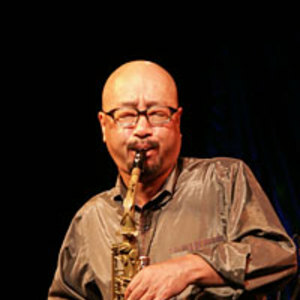 He is always learning new material for improvisation and composition. The one thing that does not change is the sound of his saxophone. It's always clear ,beautiful and strong. He blows it strong and speedy like a devil and then sometimes very humorous and then again sometimes melancholy like the blues or Japanese ENKA. Most people who hear him perform get the feeling of Japanese soul. The one thing that does not change is the sound of his saxophone. It's always clear ,beautiful and strong. He blows it strong and speedy like a devil and then sometimes very humorous and then again sometimes melancholy like the blues or Japanese ENKA. Most people who hear him perform get the feeling of Japanese soul. See also Kazutoki Umezu KIKI Band.